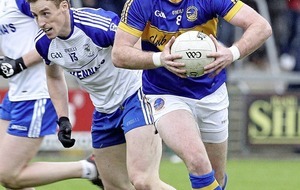 THE crowd at Saturday’s clash between Down and Antrim in Newry was disappointing. But even if Pairc Esler had been packed there wouldn’t have been many more enthusiastic, or nervous, Down supporters than Yan Liu. “Ooooooooh, I need to know the result,” said genuinely apprehensive Yan, Director of the Confucius Institute at the Ulster University, a good hour before the throw-in. 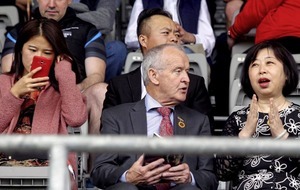 Yan had just helped to welcome Consul General Wang Shuying and representatives from the Chinese Ministry of Culture to the Ulster Championship quarter-final. But once the formalities were over, she was cheering on the Mournemen to a seven-point win. “It’s such a great game,” she said. “You always see the grandma bringing the grandchildren to the training… It’s such a wonderful sport that brings people together. “It’s something you have in common with the Chinese because we have great respect for older people – family and community is important. We have the same values. "But, if you're asking me who I support - I have to say 'it's Down'." The Confucius Institute promotes Chinese language and culture and currently has 51 teachers, all employed by the Chinese government, working in 160 schools in the North through hubs in Belfast, Derry, Coleraine, South West College (covering Dungannon, Enniskillen, Newry and Omagh), Bangor and Downshire High School. Thirteen of the teachers attended Saturday’s game and teams from Ulster University and Shane O’Neill’s in Armagh toured China last year. 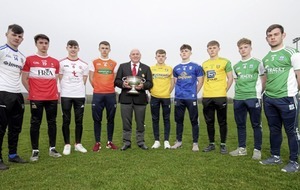 More visits are planned and Yan says football and hurling are becoming increasingly popular and widespread in the county of 1.379 billion people. “We have a Bejing Gaelic Football team and more and more people are getting interested in the game,” she said. Meanwhile, Consul Zhao Shencheng admitted he didn’t know what to expect from his first game of Gaelic football. “I don’t know the different teams, I’m just here to experience the culture,” he said. 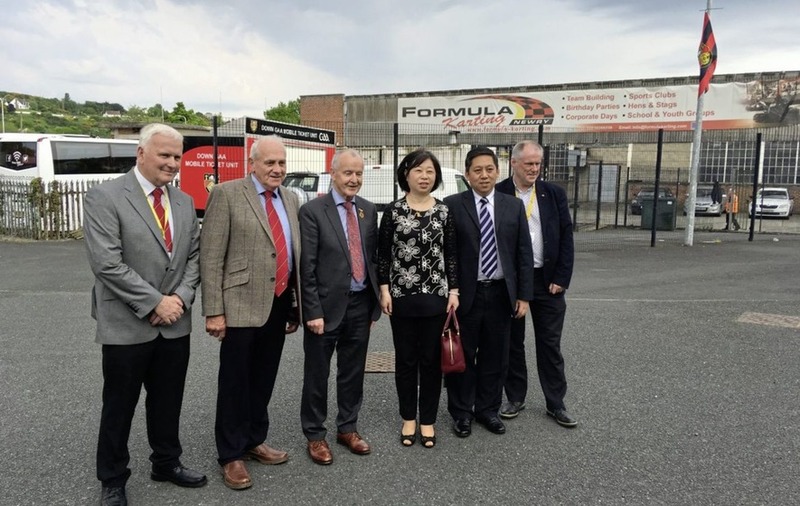 A delegation from the Ulster Council including Michael Hasson (chairman), Oliver Galligan (vice-chairman) and secretary Brian McAvoy (secretary) were at Pairc Esler to welcome the Chinese visitors. Ulster GAA PRO Michael Geoghegan says the growing interest from China could add the ‘international dimension’ that is missing from the GAA. “The Chinese people are very interested in the GAA, which is great to see, and very interested in the cultural activities of the GAA,” he said. “Look at all the ex-pats that are abroad and the people who are playing our games who are not Irish from Canada to Australia to America and all over the world. China is a new dimension. “It’s all down one person: Sean Cunningham, from the Drumaness club in county Down. He started all this. 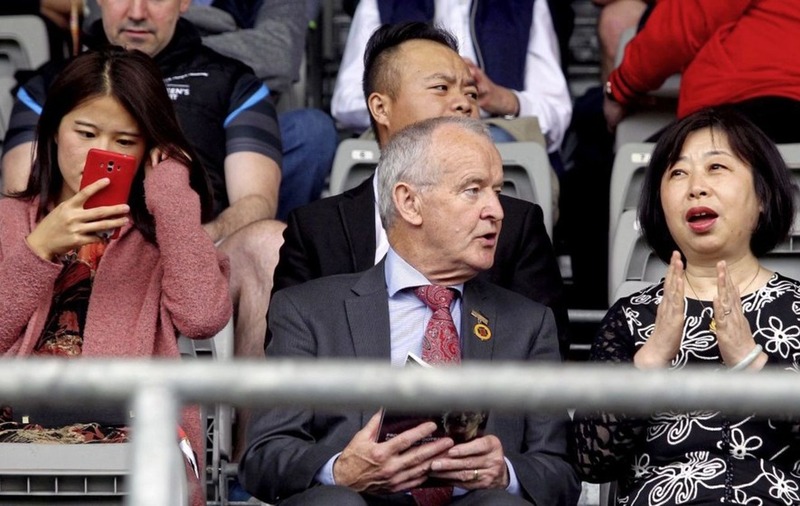 He went to China and then introduced Yan, the Director of the Confucius Institute, to Gaelic football and brought her to a county final that Kilcoo won a couple of years ago.